Robyns Simple Life: Making Life Easier.. 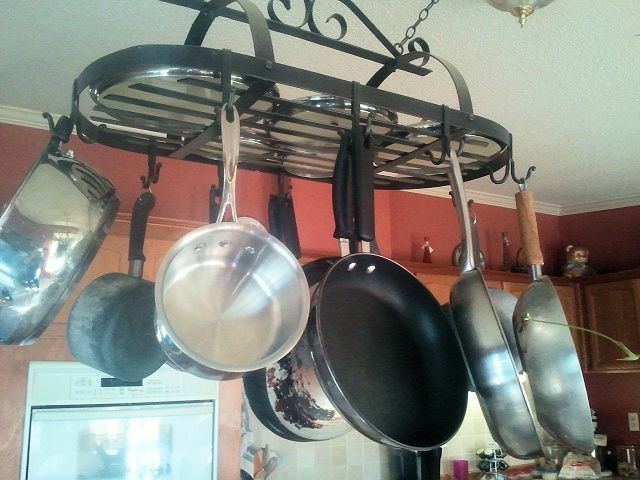 Eight years ago my husband said "everyone should have a good set of stainless steel cookware" so he bought me a complete set of Calphon Stainless Steel which granted, they're very nice and they look nice but honestly? I don't use them all that much. They're heavy, you can't cook in them any old way or you'll ruin them and to keep them in good condition you should wash them by hand and not put them in the dishwasher. While this is all very nice, with my limited energy I don't want to have to go through all that just to use them and so they pretty much have been an expensive decoration collecting dust hanging in my kitchen for eight years. Pretty aren't they? Good thing you can't see the dust on them! And thats the other thing. If you have stainless steel pots and pans hanging in your kitchen like this and you don't use them all the time they not only collect dust but they also get sticky from the grease that gets in the air when you cook etc and they become a huge mess to keep clean. I have always tried when I can to make life easier on myself but why I didn't think of this until recently is beyond me. Yeah, I can be a bit slow at times. 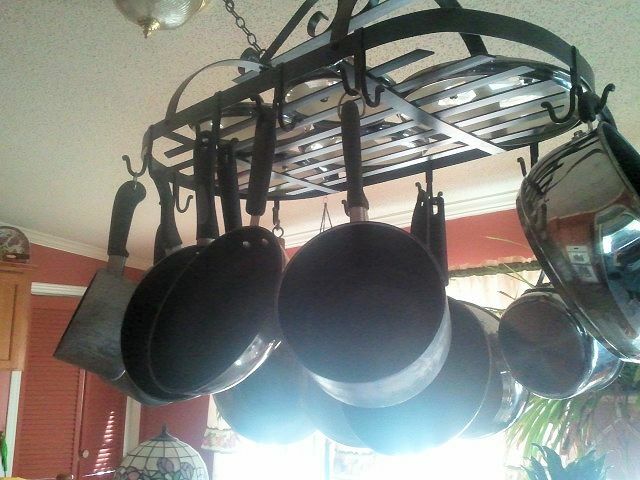 This morning I decided, to hades with looking nice I need ease of use so, I swapped out these for all the pots and pans I do use on almost a daily basis. That really is handy. I'm afraid we have way to much dust here to do that but I think your every day pans look great! Good job! Yes--going simple--I love thinking about simple living and I really am trying to focus on this more and more! Me too Kim! I have so much stuff in my home I want to get rid of but I dont know how. My location is awful for a yard sale, Ebay is hard because by the time you pay their fees and paypal fees you've lost money and an ad in the Sun News is ridiculously expensive. I've thought about Craigs list but Im kind of afraid to use that as I've heard about the horror stories of Craigs list transactions so Im stumped..
We live in a dusty climate and can't do that either...but what a great idea. 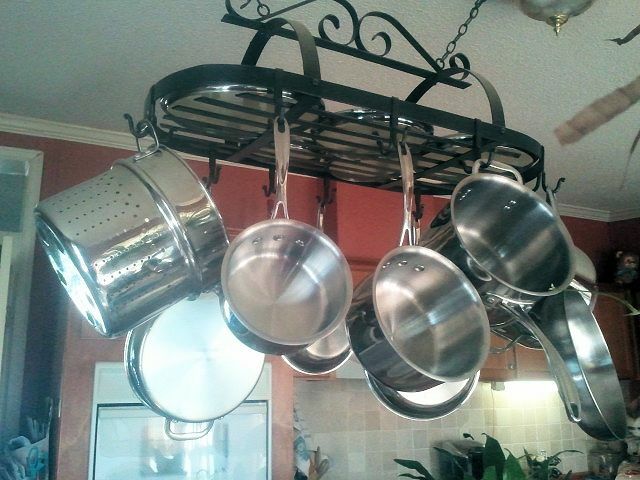 And having pots that you use everyday is so convenient. That's too funny, but I agree. What good are they if you don't use them and who wants to look at dust and grease? Just another thing to clean, and who needs that? Glad you switched them out - so much more practical.